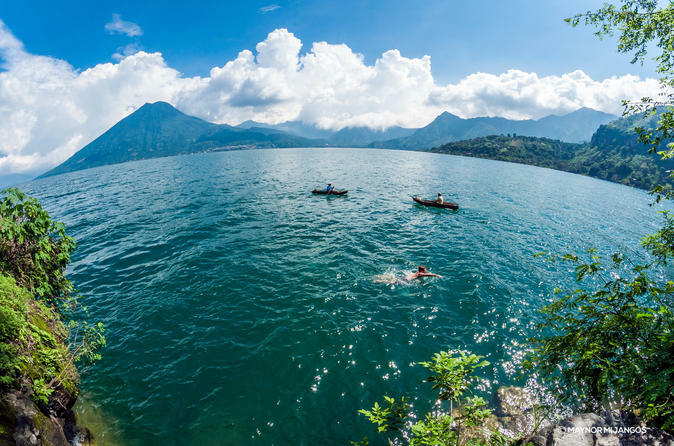 Among attractions that Guatemala has to offer, Lake Atitlan stands out as a place of natural beauty that is hard to encounter anywhere else. Lake Atitlan is surrounded with three big volcanoes, capturing the imagination of many generations of foreign visitors. Any description with words is failing, even undoubtedly beautiful pictures that you can easily find in the internet cannot bring you the real impression on the spot. On the other hand, Chichicastenango market is a social place; it is where you can see Guatemalan live culture. From the appearance of its people, their entrepreneur spirit when bargaining and selling their merchandise to local dishes and other products from the rich Guatemalan soil. In both ways you will be close to the essence of the Highlands and what Guatemalan soul is! This tour takes you to visit the famous Chichicastenango outdoor market, the biggest in Central America. It is held on Thursdays and Sundays only. It's very crowded and noisy fair that takes almost all streets of the city. Here you can see goods that come from all over this country, as well as taste local dishes and fruits and vegetables on offer there. Now it is the time to become familiar with the Lake Atitlan. Public boat will take us to Santiago Atitlan. Although Pana is biggest settlement on the lake, Santiago is the capital. It may be because real native culture managed to stay alive here, while in Pana visitors that started to come here in the "flower-power" era created their blend of life. Santiago offers food, souvenirs, lessons, insight into local customs and everyday life. You'll find many "cooperativas" that offer various products, you'll meet the locals always ready to teach you something new.